The ISO has branches across the country whose members are involved in helping to build a number of struggles: the movement to stop war and occupation, fights against racism and anti-immigrant scapegoating, the struggle for women's rights like the right to choose abortion, opposing anti-gay bigotry, and standing up for workers' rights. The misery that millions of people around the world face is rooted in the society we live in--capitalism, where the few who rule profit from the labor of the vast majority of the population. In the U.S., a tiny proportion of the population enjoys fantastic wealth, while millions of people live in desperate poverty, and many more live paycheck to paycheck. Yet we have the resources to feed, clothe and educate everyone on the planet. A world free of exploitation--socialism--is not only possible but worth fighting for. 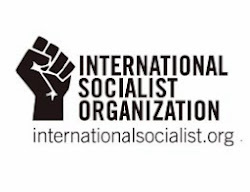 The ISO stands in the tradition of revolutionary socialists Karl Marx, V.I. Lenin and Leon Trotsky in the belief that workers themselves--the vast majority of the population--are the only force that can lead the fight to win a socialist society. Socialism can't be brought about from above, but has to be won by workers themselves. The Democratic Party, much like the Republicans, acts in the interests of Corporate America and the privileged few at the top. We see our task as building an independent socialist organization with members organizing in our workplaces, our schools and our neighborhoods to bring socialist ideas to the struggles we are involved in today, and the vision of a socialist world in the future. 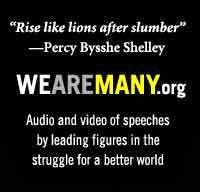 War, poverty, exploitation and oppression are products of the capitalist system, a system in which a minority ruling class profits from the labor of the majority. The alternative is socialism, a society based on workers collectively owning and controlling the wealth their labor creates. We stand in the Marxist tradition, founded by Karl Marx and Frederick Engels, and continued by V.I. Lenin, Rosa Luxemburg and Leon Trotsky. Workers create society's wealth, but have no control over its production and distribution. A socialist society can only be built when workers collectively take control of that wealth and democratically plan its production and distribution according to human needs instead of profit. The working class is the vast majority of society and is the key to the fight for socialism. Workers' central role in production gives them a social power--by use of the strike weapon--to paralyze the system like no other social force. Socialism is working-class self-emancipation. Only mass struggles of the workers themselves can put an end to the capitalist system of oppression and exploitation. We support trade unions as essential to the fight for workers' economic and political rights. To make the unions fight for workers' interests, rank-and-file workers must organize themselves independent of the union officials. We actively support the struggle of workers and all oppressed people for economic, political and social reforms, both as a means to improve their conditions and to advance their confidence and fighting strength. But reforms within the capitalist system cannot put an end to oppression and exploitation. Capitalism must be replaced. The structures of the present government grew up under capitalism and are designed to protect capitalist rule. The working class needs an entirely different kind of state--a democratic workers' state based on councils of workers' delegates. We do not support candidates of capitalist parties like the Democrats or the Republicans. 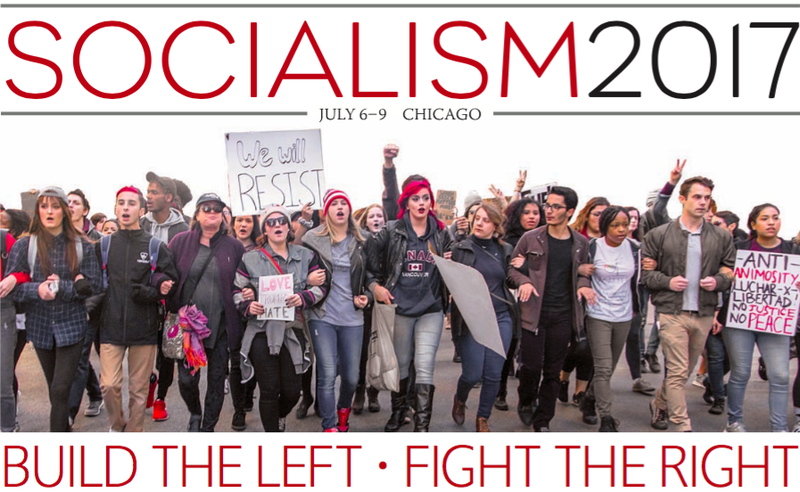 We support genuine left-wing candidates and political action that promotes independence from the corporate-dominated two-party system in the U.S.
Capitalism is an international system, so the struggle for socialism must be international, uniting workers of all countries. Socialists oppose imperialism--the division of the globe based on the subjugation of weaker nations by stronger ones--and support the self-determination of oppressed nations. We oppose all immigration controls. We oppose U.S. intervention in Cuba, the Middle East, and elsewhere. We are for self-determination for Puerto Rico. China and Cuba, like the former Soviet Union and Eastern Bloc, have nothing to do with socialism. They are state capitalist regimes. We support the struggles of workers in these countries against the bureaucratic ruling class. Capitalism divides the working class, based on sexual, racial and national distinctions. The specially oppressed groups within the working class suffer the most under capitalism. We oppose racism in all its forms. We support the struggle for immigrants rights. We fight for real social, economic and political equality for women and for an end to discrimination against lesbians, gay, bisexual, and transgender people. We support the fight for Black liberation and all the struggles of the oppressed. The liberation of the oppressed is essential to socialist revolution and impossible without it. To achieve socialism, the most militant workers must be organized into a revolutionary socialist party. The ISO is committed to playing a role in laying the foundations for such a party. 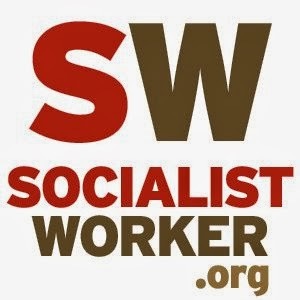 We aim to build an independent socialist organization, rooted in workplaces, schools and neighborhoods that, in fighting today's struggles, also wins larger numbers to socialism. 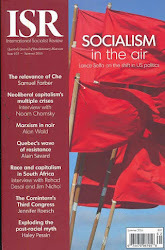 Paul D'Amato has written a series of articles for Socialist Worker laying out the political principles of the ISO. A party to organize our side. Anyone who has ever gotten involved in even the smallest struggle knows that without organization, little can be accomplished. Challenging every form of oppression. The old saying of the Industrial Workers of the World, "An injury to one is an injury to all," is a crucial slogan for the labor movement. Pitting one worker against another. Capitalism divides the working class, based on sexual, racial and national distinctions, with specially oppressed groups suffering the most. Tyrannies ruling in the name of socialism. The countries that have masqueraded as socialist--from the former USSR to China and Cuba--turned the basic tenets of Marxism on their head. Opposing war in the "Belly of the Beast". U.S. intervention has to be opposed, whether it is in the name of humanitarian intervention, spreading democracy or defending the "homeland." Open to capital but not labor. U.S. politicians and employers have always used anti-immigrant laws not so much to prevent the entry of all immigrant labor, as to control it. A world to win. Since capitalism is an international system, the working-class struggle to overcome capitalism must also be international. Independent of the political status quo. Without its own political party, leaders and political representatives, the working class will remain subordinated to the Republicans and Democrats. No choice between the capitalist parties. The U.S. political system creates an institutional arrangement whereby only two parties are presented as legitimate options. A system to carry out workers' democracy. The working class needs its own, democratic state--a state that works itself out of a job. 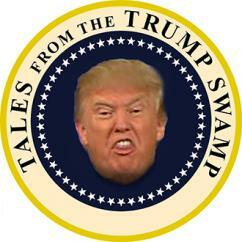 A tool for preserving class rule. The modern state is the state of the dominant class, and its main purpose is to secure the rule of that class. 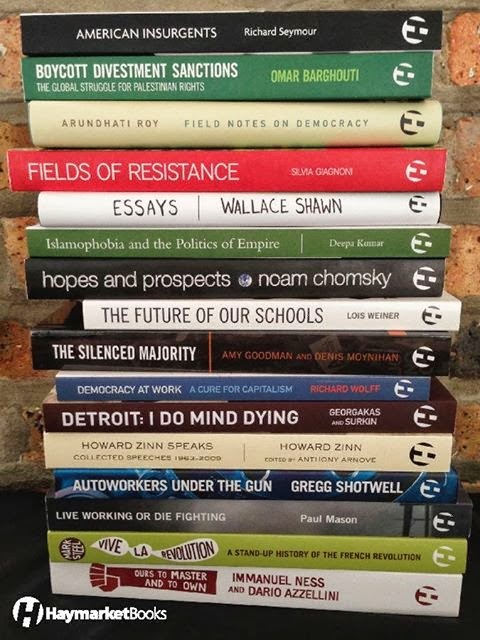 Reform struggles and the road to revolution. In the collective fight for reforms, ordinary people are radicalized and gain a sense of their own power. Mobilizing the power of the rank and file. Rank-and-file organization is needed in unions to overcome the limits of the union leadership. Uniting to resist the employers' attacks. Socialists support trade unions because they are the most elementary form of organization of the working class.